Messier 78 is the bright blue reflection nebula just below center in the image. 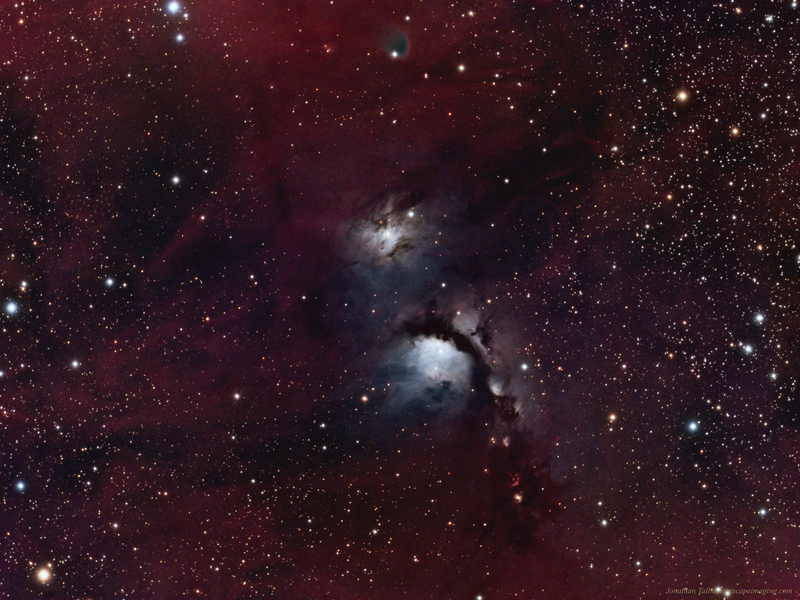 M78 is lit up by two stars within the nebula, HD38563A and HD38563B. 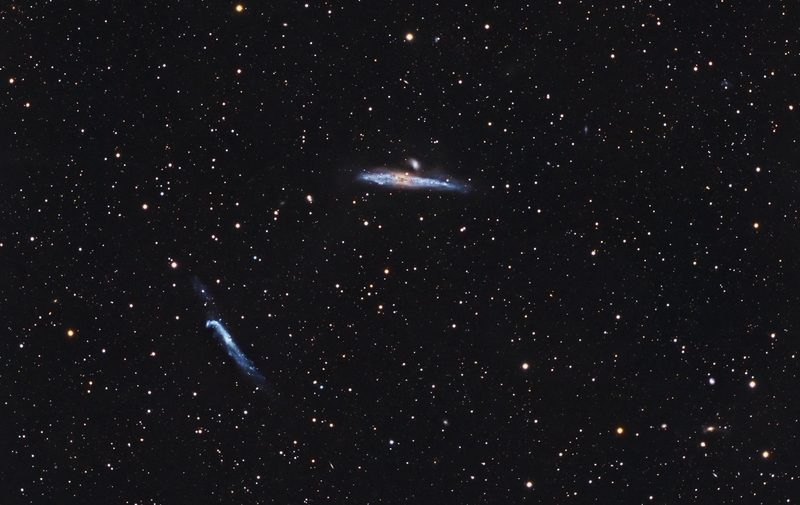 The dust within this area glows in the same spectral range as these stars. Above M78 is another reflection nebula called NGC 2071. Surrounding this entire area is dust which glows with a reddish hue. This entire area is part of the Orion complex and is about 1,600 light years distant. This image combines 26hrs worth of data taken through wide band LRGB and Narrow Band Ha filters. This is a reprocessed version of an of the image I took in 2015 as I thought the original was a bit too un-natural so I toned it down a bit.